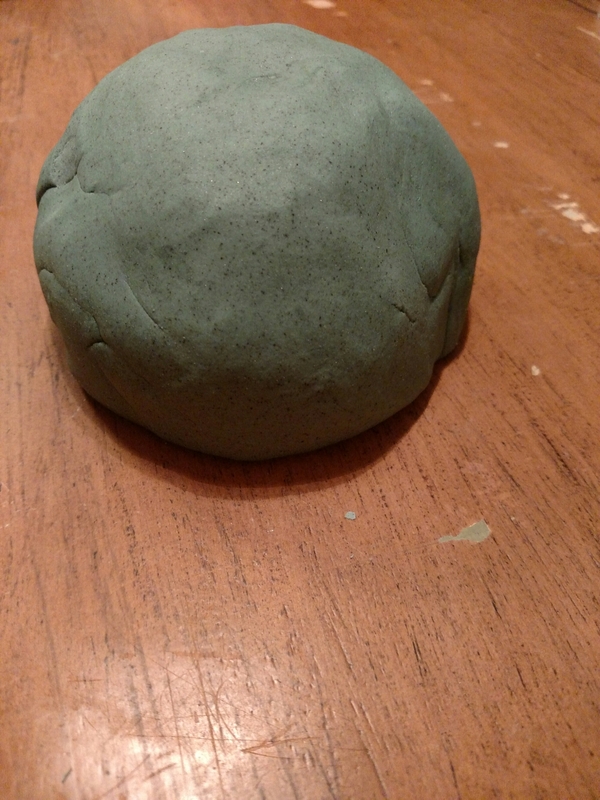 My three year old recently discovered the joys of play dough. He’s played with it before but only recently really took a liking to it. When I friend came to visit she made a batch and he’s been asking to play with it just about everyday since. Now, that first batch didn’t last long. In fact, most batches don’t last more than a couple days. My kids get a little wild and each time they play a good portion ends up on the floor. Instead of picking out dig hairs and dirt, floor play dough goes on the garbage. Because of this, making it at home is really the most economical way to do it. Due to the increased interest and my son’s skin issues I’ve been on the search for the perfect recipe. 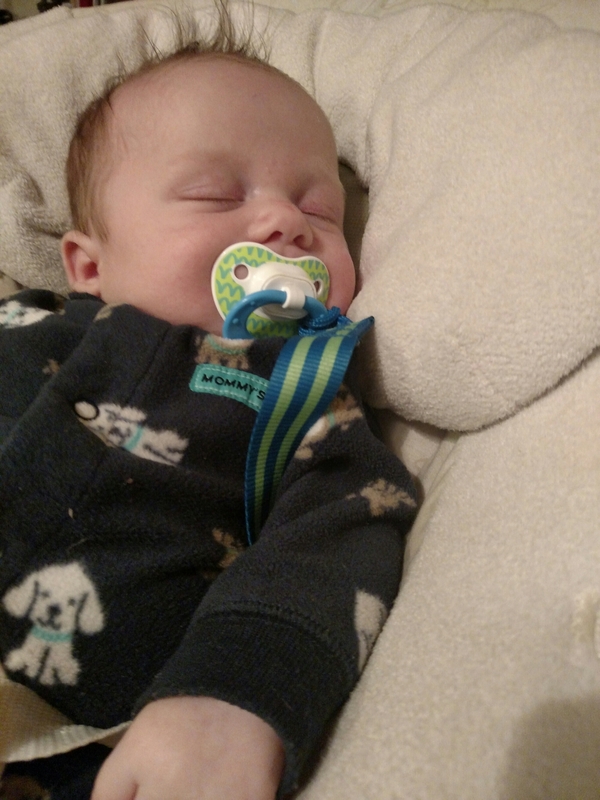 My son has eczema, and its really bad on his hands and fingers. He hates lotion which makes caring for his poor skin difficult. 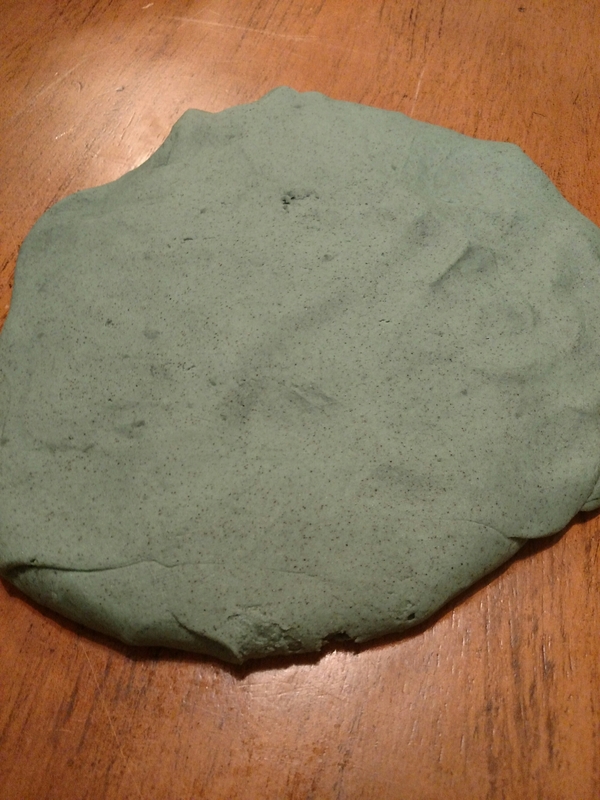 The first recipe for play dough we made was the ‘salt dough’. While a normally great recipe, this was terrible on his hands. It dried them out even more. So I tried something else. Next, I tried corn starch with hair conditioner and then with lotion. Both were ok and probably would be good with older kids who understood better know play dough worked. But for my guy, it was too hard and didn’t hold together very nicely when he was trying to ‘roll it out’. Next came the Apple Pie recipe and this one was the winner after a few tweaks. No salt, still stayed smooth and smells amazing. I’ve changed the oil used to baby oil and I actually want to try increasing the oil and decreasing the water just a bit. But for now, this is the winner! Funny colored play dough... It was supposed to be dark blue. 1. Add all the dry ingredients together on a medium sized pot. 2. Measure your water and add the food coloring to it. This makes it super easy to mix in the color! Then add water to dry mix and stir well. At first the corn starch will feel hard, just keep mixing it up until its smooth. Watery mixture, but don't worry, it thickens up fast! 3. Put pot on medium heat and keep mixing. 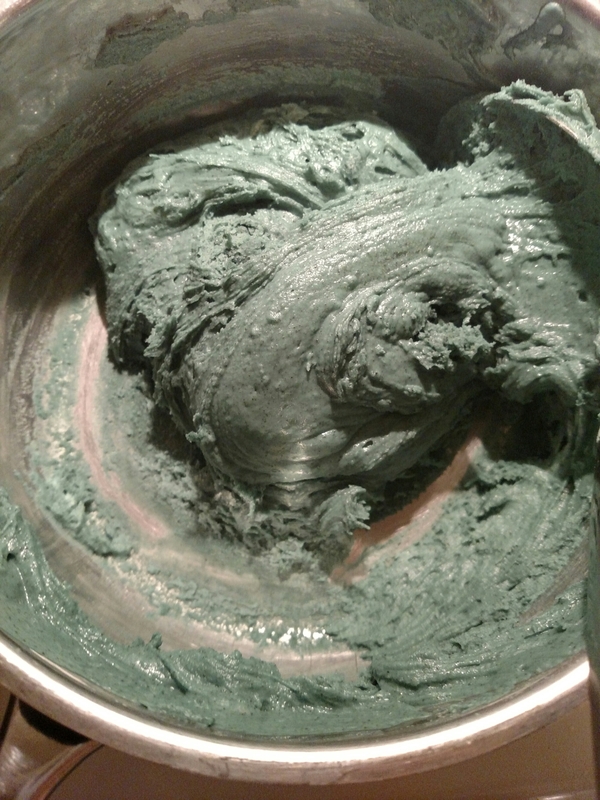 The play dough burns quickly and sticks to the pot, so be attentive. 4. 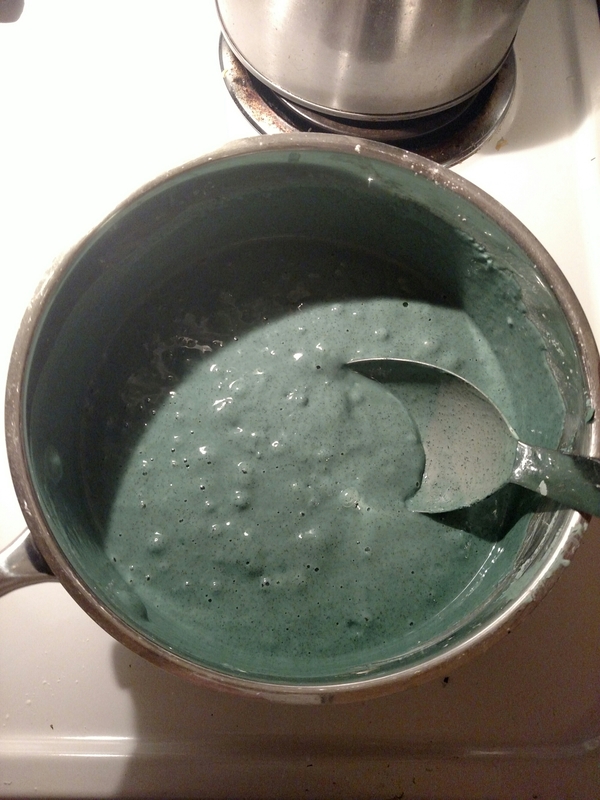 Once the mixture becomes stiff and very difficult to stir, remove from heat. 5. Let the dough cool until you are able to touch. Remove dough from pan and knead together. 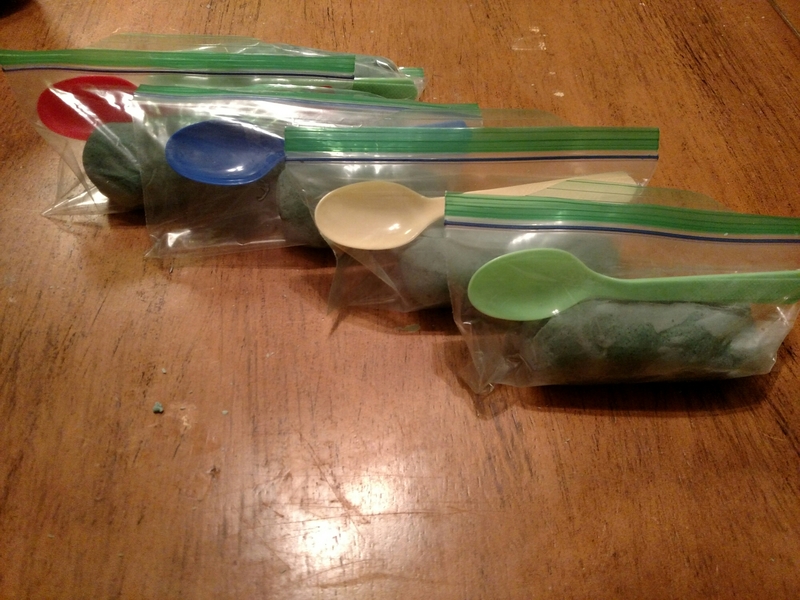 Let cool completely then store in air tight container or bag. 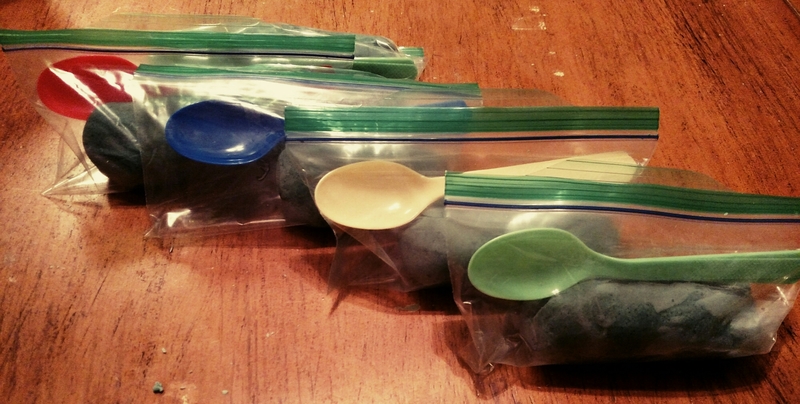 I split the dough up and put it into snack baggies with a spoon for Josiah. This is so in the very early morning hours, he has something to do! But it won’t make a HUGE mess and if it gets forgotten, the whole batch didn’t get ruined. My play dough making assistant. It was a hard job! And a last clean up trick! This also works for any baked on, hard to clean pan. Fill the pot/pan with hot soapy water then add a dryer sheet and let soak for an hour or more (over night works good too!) When you come back all the baked on stuff will come right off! It’s amazing!! Let me know if you have a great party dough recipe! Or if you try this one, his it works for you! !